A Budget for the young generation – of entrepreneurs? After the headlines and sound bites comes the task few of us would envy – picking through the fine details of Chancellor George Osborne’s eighth Budget. The proposed sugar tax predictably grabbed the tabloids’ attention but many of the more heavyweight commentators have chosen to focus on the implications for Britain’s small businesses including newsagents in Nuneaton, corner shops in Barnstaple and hairdressers in Leeds. Most agree that small businesses are the big winners following the announcement that 630,000 small businesses will pay no business rates at all from 2017. The annual threshold for 100 per cent relief on business rates for small firms will rise from £6,000 to £12,000 and the higher rate from £18,000 to £51,000. Mr Osborne claims the reduction will save small businesses some £7 billion per year. The Chancellor didn’t hang around to introduce a change to commercial stamp duty, which came into force at midnight on March 17. The rate is now nought per cent on purchases up to £150,000, two per cent on the next £100,000 and a five per cent top rate above £250,000. There is also a new two per cent rate for high value leases with a net present value above £5 million. Also of significant interest to SMEs is the news that the self-employed will no longer have to pay class two national insurance contributions, which will be abolished from April 2018. Businesses of all sizes will also be relieved that there is no increase in fuel duty. At Business Partnership, we believe the increase in the small business rate relief threshold will have a significant impact on the profitability of small retail businesses, which in turn will help business owners to realise a higher value when they come to sell their business. Long term confidence regarding small business rate relief will breed confidence in the High Street which will improve the marketability of these types of businesses. In recent years they have become less attractive to new buyers, especially younger generation buyers. A reduction in corporation tax to 17 per cent by 2020 will allow small businesses to retain more profit which provides cash flow. This in turn can be reinvested to achieve growth and enhance their value on sale. The Chancellor has looked after small businesses generally which will make the sector more attractive at the point of sale. This will hopefully encourage young investors to start or purchase a business as an alternative to employment. 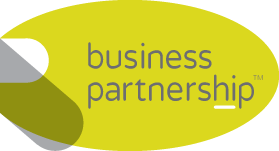 If you are considering buying or selling a business, contact Business Partnership’s team of experts, who are based across the UK.